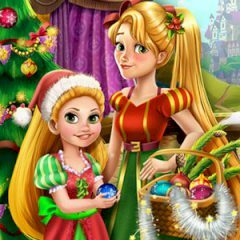 Rapunzel and her daughter decided to grow a very beautiful Christmas tree to the new year. Use the clues and help Rapunzel as soon as possible. Do not forget to decorate the Christmas tree. Christmas is just around the corner!